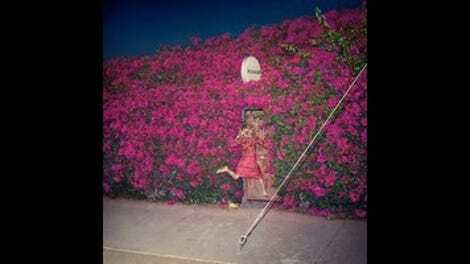 Leslie Feist’s fifth solo album is coming out almost exactly a decade after her breakout release, 2007’s The Reminder. It’s serendipitous timing, but the 10-year-long shadow can’t be ignored: There’s no discussing Feist’s output without a brief detour to the twilight years of the George W. Bush presidency, to a time when an iTunes ad could lift a plucky Canadian singer-songwriter out of semi-obscurity and place her in the same Grammy category as prospective Best New Artists Taylor Swift, Amy Winehouse, and Paramore. The Reminder is a time capsule, as is its fluky hit single, the bouncy Sally Seltmann collaboration “1234.” For some segment of the population, the Feist of “1234” is the only Feist that has ever existed, frozen in amber (and that spangly blue jumpsuit), removed from her role as the klaxon blowing through the euphoric cacophony of Broken Social Scene, unaware of The Reminder’s elemental follow-up, 2011’s Polaris Prize-winning Metals. But the new record, Pleasure, is also a time capsule of sorts. 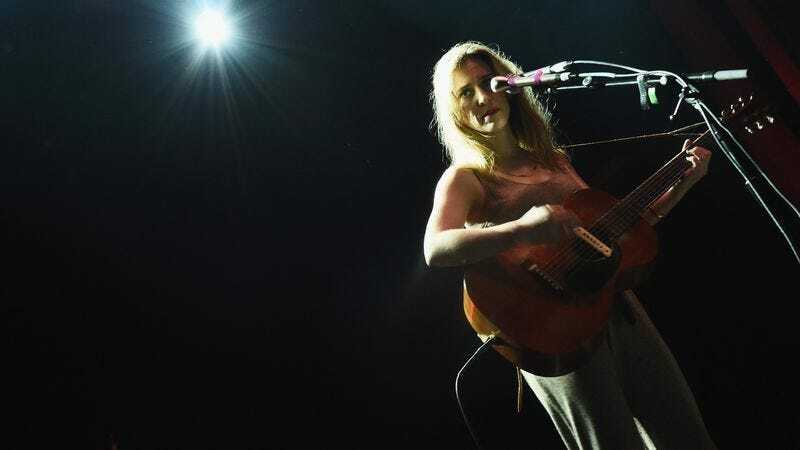 “A song like ‘Get Not High, Get Not Low’ is direct instructions to 71-year-old Leslie,” the currently 41-year-old Feist recently told Stereogum. “I feel like these are songs that I wrote for a version of myself that I aspire to be.” And although these ragged, candid addresses to Leslie Feist circa 2047 couldn’t be anything less like “1234”’s playground-rhyme-as-breakup-anthem, they won’t let you stop thinking about that decade that’s passed since The Reminder’s release either—Pleasure won’t let you stop thinking about time for a single beat of its 11 tracks. Its songs open up a continuum of memory and emotion—the type previously explored in cuts like “Mushaboom” and “Past In Present”—dictated in impressionistic terms and presented with minimal technical futzing. Feist’s most daring work to date projects reminders into the future, ruminates on absence in the present, and reaches back into the past to recall a party worth leaving (and the person worth leaving it with). So many of Pleasure’s recommendable qualities could have a dual edge: It’s not beholden to verse-chorus-verse structures, at the risk of looser numbers like “I Wish I Didn’t Miss You” or “Lost Dreams” sounding somewhat indistinct. The record is unfussy, but some tracks—like “Century,” which intentionally cuts off mid-crescendo—seem unfinished. But these all contribute to the record’s capacity for surprise, a playfulness that accounts for the most literal representation of Pleasure’s eponymous emotional state. The coda of “Any Party” is one part musique concrète, another part sound-effect record, the song swinging abruptly from a chorus of besotted voices to the noises of someone exiting the titular soiree, capped by a snippet of Pleasure’s title track playing from a passing car. The track that follows, “A Man Is Not His Song,” chases a multi-tracked invocation—“more than a melody’s needed”—with an entirely different melody: the chugging intro to “High Road,” a song by Feist’s split-single buddies in Mastodon. When Cocker puts on his “I Spy” voice to count the seconds, hours, and days in “Century,” it’s hard to tell whether or not the former Pulp frontman is taking the piss. But Pleasure’s arithmetic lesson/“Seasons Of Love” act comes to a deadly serious conclusion, with Cocker talking about “endless dark nights of the soul” in which “a single second feels like a century.” Such tallies mean something in Feist’s discography—after all, they’re the lyrical spine of her biggest hit. But “Century,” like Pleasure as a whole, demonstrates that her appeal was never as elementary as a sing-song four-count. It’s an album that’s as rich as Feist’s voice and as dark as the nights in Cocker’s “Century” interlude, one that believes time is only as long as we say it is. The trajectory of a musician’s career can change in the span of a few months in 2007, and grow—or, in the words of Pleasure’s chipper closer, “young up”—in infinitely unpredictable and gratifying ways across the decade that follows. Days go by in a flash, and a great pop song engulfs its listener for what feels like years. After all this time, nothing articulates this phenomenon quite like a Feist record. Purchase Pleasure here, which helps support The A.V. Club.